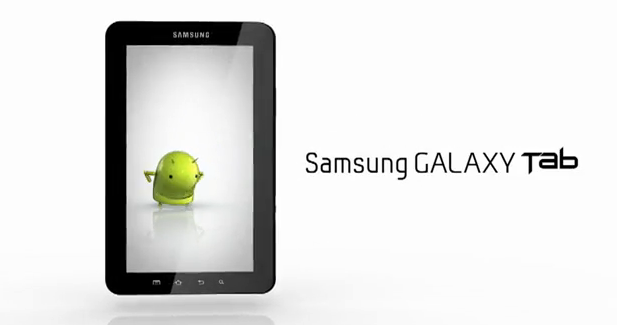 Samsung officially announced their Galaxy Tab this morning at their even in Berlin, Germany. Along with it they announced the full spec sheet and accessories, along with availability. Along with the announcement they updated the official site to include more than a teaser video. 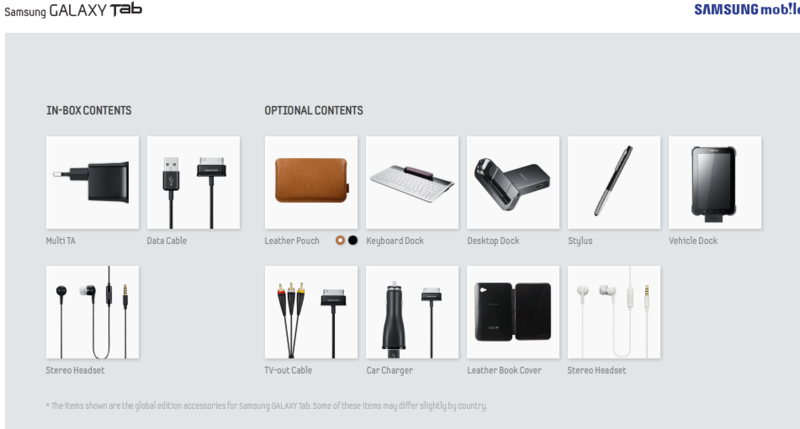 You can now explore all the features and options of the Galaxy Tab and get a good understanding of what this device can do. 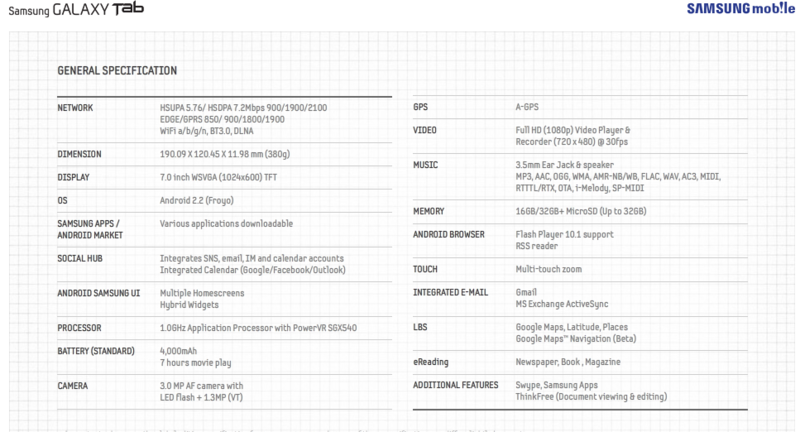 Pictured below are the full spec sheets. This thing is packing some serious power as you can see. Although the 3MP camera on the back doesn’t seem to be up to par with any mobile device that has a built-in camera, it’s better than no camera at all, plus this will have the front facing camera for video calling which I think would be more useful on a tablet and a rear side camera. Below you can see a full line of accessories that will be available for the device. The one that has me confused is the TV out cable. That looks like a composite video connection which maxes out at 480p. You would think they would offer a HDMI or component video cable for HD viewing on a big screen. So I would be looking for an October/November release in the US for this one. Probably closer to Christmas for Verizon customers. Oh, and here’s the latest commercial! It’s Officially Coming To Verizon! The Galaxy Tab! Well AT&T, enjoy your iPad. 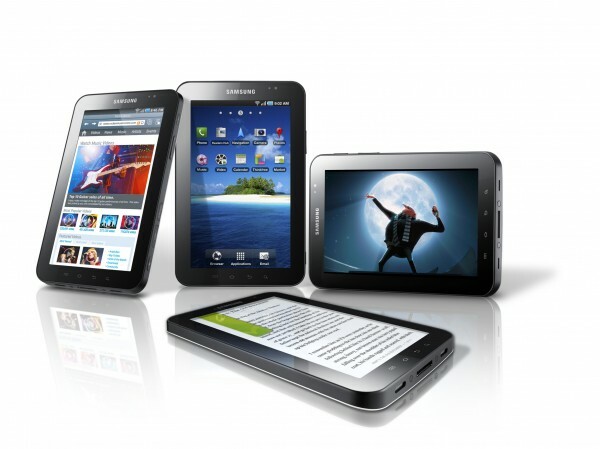 The Android lovers that are on the reliable network of Verizon will be getting their very own tablet to play with. Hopefully soon. 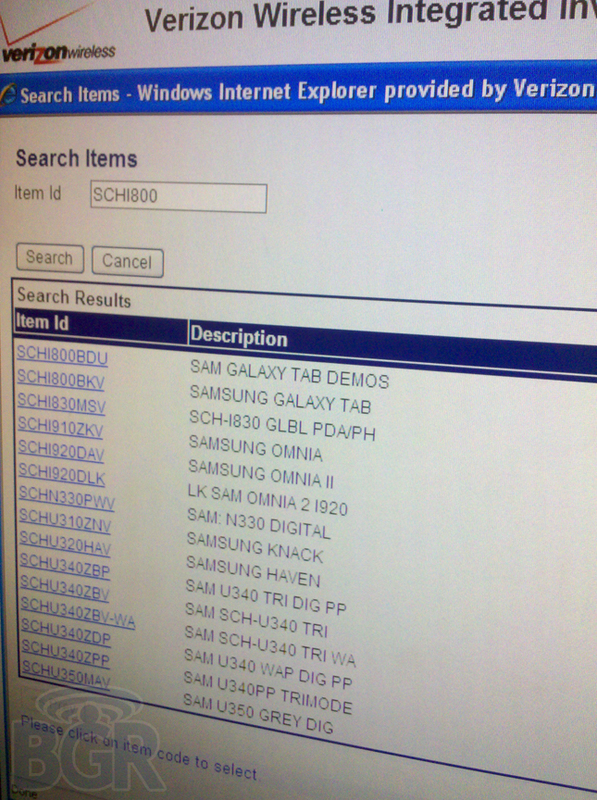 As you can see in the picture above we have both a Samsung Galaxy Tab, and Samsung Galaxy Tab Demos appearing in Verizon’s system. The device has already been made official through a leaked teaser video at galaxytab.samsungmobile.com, but we couldn’t confirm where it was headed (even though the CDMA radio technology that has been found to be used in it sort of gave it away.) Well now we know from the screenshot above that this is definitely going to be landing in Verizon’s stores. I’m sure we’ll know a lot more about this tomorrow after Samsung’s launch event in Berlin Germany. We’ll be posting updates, so stay tuned! Oh and anyone on a GSM network (AT&T, T-Mobile, etc) don’t fret. Although you’re not getting the actually “Galaxy Tab” a recent FCC filing today shows a GSM Samsung tablet is coming as well. So there will be Android tablet love for all that want one!